Will it matter that Greg Henning skipped the last major debate for Suffolk DA? Greg Henning spoke at a candidate forum in April. 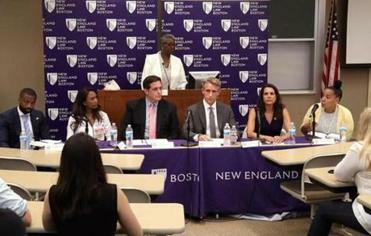 So when the Greater Boston Interfaith Organization held a forum last week for the candidates for Suffolk County district attorney — an event attended by hundreds of prospective voters in the Sept. 4 Democratic primary — Henning was the lone candidate who refused to attend. He was a no-show despite having committed to the event in April. He had said he would attend, and completed the standard questionnaire completed by all the candidates. But that, Henning told me last week, was before organizers decided that each of the questions was to be answered yes or no. He said he believed the format deprived attendees of a real discussion of serious issues. “The issues are complex, and voters want a district attorney who can wrestle with complex issues,” Henning said. So about two weeks prior to the event, he decided to bail. Greg Henning said in a letter to organizers that he did not like the format of the questions. Organizers pushed back at the notion that they didn’t want a discussion of the issues. They insisted that their goal was to force candidates to take firm positions and that they were happy to allow candidates to elaborate on their answers. Henning has emerged as a strong contender in the primary. An assistant district attorney who runs the gang unit, he is the clear choice of police officers and others committed to maintaining the status quo in the office. He has far outraised his opponents, and was recently enthusiastically endorsed by his boss, outgoing Suffolk DA Dan Conley. To be fair, over the course of months of running for office, most candidates will miss a debate at some point. But Henning seems to have missed more of them than his opponents — many of them, like last week’s, before crowds that might have been more supportive of his more progressive opponents. 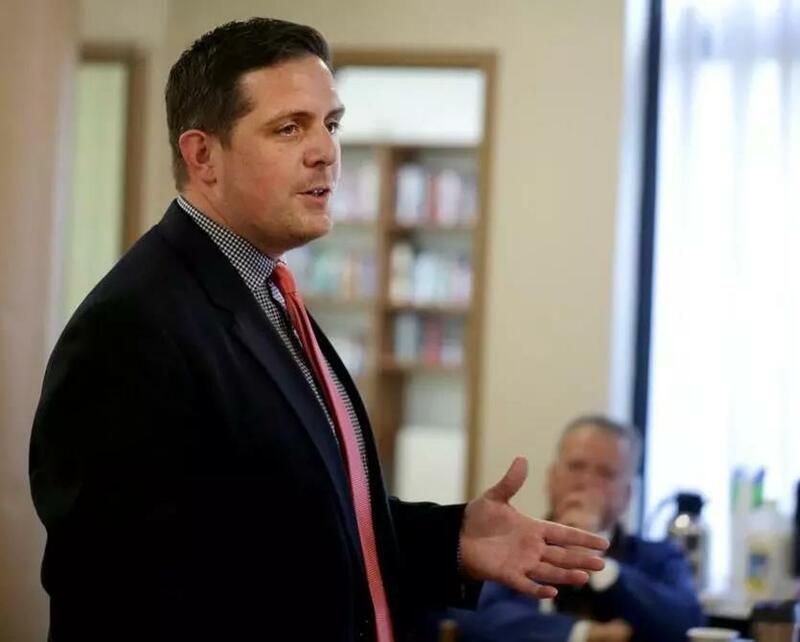 His no-shows include events in Chelsea, Roxbury, and Dorchester, though Henning’s campaign says he was never invited to at least one of those events, and had conflicts on some of the other dates. Still, that’s not a good look for a politician who, if elected, will be entrusted to represent all of Suffolk County. Henning thoughtfully but firmly rejected the notion that his absence had anything to do with the audience of the sponsors. His only issue, he said, was not being able to fully answer questions. Although I’m not sold on the debate format, I don’t think it was a good reason to skip the event. Organizers said they had gone out of their way to try to address his concerns. “These are issues that affect everybody, no matter what community you live in,” said organizer Beverly Williams of the GBIO. Regardless of who wins, this much is clear: The next Suffolk DA will have to face the public over and over, and in far less civil settings than a candidate forum. Whoever wins will quickly learn that being uncomfortable is part of the job.